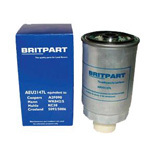 Fuel filters suitable for the Land Rover Discovery 1. Inc. VAT: £2.33 Inc. VAT: Info UK VAT charged at 20%. Ex VAT £1.94 Ex VAT Info Outside of EU and EU VAT registered companies only (not UK). Inc. VAT: £5.39 Inc. VAT: Info UK VAT charged at 20%. Ex VAT £4.49 Ex VAT Info Outside of EU and EU VAT registered companies only (not UK). Inc. VAT: £18.98 Inc. VAT: Info UK VAT charged at 20%. Ex VAT £15.82 Ex VAT Info Outside of EU and EU VAT registered companies only (not UK). Inc. VAT: £2.59 Inc. VAT: Info UK VAT charged at 20%. Ex VAT £2.16 Ex VAT Info Outside of EU and EU VAT registered companies only (not UK). Inc. VAT: £4.14 Inc. VAT: Info UK VAT charged at 20%. Ex VAT £3.45 Ex VAT Info Outside of EU and EU VAT registered companies only (not UK). Inc. VAT: £17.18 Inc. VAT: Info UK VAT charged at 20%. Ex VAT £14.32 Ex VAT Info Outside of EU and EU VAT registered companies only (not UK). Inc. VAT: £6.60 Inc. VAT: Info UK VAT charged at 20%. Ex VAT £5.50 Ex VAT Info Outside of EU and EU VAT registered companies only (not UK).